Precursor chemicals are posing a problem worldwide as only a mere fraction of these chemicals is required to produce illegal drugs. Bhutan owing to its geographical location and its growing trade and industry could be in murky waters if used as a transit gateway for such lethal chemicals. Precursors are widely used commercially (in a legitimate way) for a variety of industrial and consumer products as its compounds are required in the extraction processes of medicines, flavorings and fragrances. However, the precursor can be a lethal chemical if diverted to illicit channels as of the total quantity of precursors manufactured only a small fraction is used to produce illegal drugs. For instance, about 1.2 mn tones of acetic anhydride are manufactured worldwide yearly of which, some 2,000 tones is adequate to convert the entire opium produced in Afghanistan into heroin. Studies show that there are three categories of drugs- natural, semi-synthetic, and synthetic. Most of the dangerous drugs abused in the world are either semi-synthetic or synthetic, which cannot be manufactured without precursors. While the semi-synthetic drugs such as heroin and cocaine also need plant products such as opium or coca, synthetic drugs such as amphetamines can be manufactured using precursors alone. It is simple to manufacture drugs if one has access to precursors and it is a known fact that several addicts manufacture their own drugs after obtaining precursors. However, on the other hand, it is difficult to illegally manufacture precursors; therefore, illicit drug producers and traffickers worldwide divert precursors from legitimate trade and industry and manufacture drugs. Coming to Bhutan, the country does not have to worry about no chemical industries manufacturing precursors. Also there have been no reports of illegal manufacture of drugs, but, it needs to be cautious as drug traffickers pay no heed to national boundaries and they divert precursors from wherever they can to countries where illicit drug production takes place. If this happens then the growing narcotic substance abuse and peddling scenario in Bhutan could be exacerbated. This is in fact a possibility owing to the country’s close proximity with other countries which have vibrant chemical industries, Myanmar being one of the major illicit heroin and amphetamine producing regions. 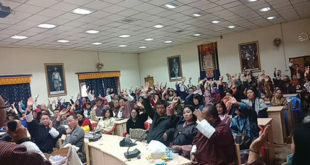 “Due to the rapid development in Bhutan many different forms of precursors are being used by the industries and private firms and controlling precursors is important as there is a danger of Bhutan being used as a transit gateway for it,” said Kinley Dorji, Executive Director of Bhutan Narcotic Control Agency (BNCA). Kinley Dorji said that precursors could be trafficked and illicitly used, and therefore regulating their imports were as equally important as education and creating awareness among the people. Gyeltshen, Pharmacist of BNCA said, of the 60 registered firms with the agency, there have been instances where some firms have manufactured precursors exceeding the permissible amount. However, they were not penalized but were sent strict warnings the first time. The BNCA has been regulating the import of precursor chemicals since 2007, but on ad-hoc basis, so in early 2011 and till date the agency has been carrying out an inspection study. “This is being done in order to look into the actual scenario of authorization of precursor chemicals and the firms who were importing more than the authorized amount,” said Gyeltshen. Regarding international controls on precursors, the UN’s Convention against Illicit Traffic in Narcotic Drugs and Psychotropic Substances, 1988, lays down the framework for international controls over precursors. Bhutan has signed and ratified the above UN Convention and taking into account its obligations under the Narcotic Drugs, Psychotropic Substances and Substances Abuse Act (NDPSAA) of Bhutan, 2005. The UN convention identified 23 precursors for international control of which 12 are regulated in Bhutan. The NDPSAA 2005 of Bhutan clearly shows Sections 17 to 20 dealing with 23 precursor chemicals with clauses on the rules and regulations. It clearly states the manufacture, wholesale trading or distribution and import or export of substances, maintenance of a register containing particulars of all acquisitions or transfers of substances listed in the clauses, and notifying the competent authority of any suspect order or operation among others. Section 6 of the Act, states preparation rules containing these substances are subject to the same control as the substances themselves, for instance, whether ephedrine is imported in the form of powder or whether ephedrine tablets are imported. Meanwhile, in order to keep precursor circulation in check, the BNCA seeks the support of the trade department, the department of revenue and customs, and the National Environment Commission (NEC) as an effective control measure. 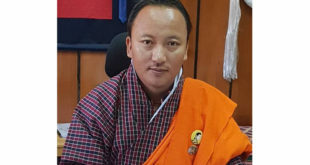 Kinley Dorji said that the licensing should be more specific, and the customs’ duty especially at the port of entries should be aware of precursors because such chemicals could be declared a catalyst, which would not require an import license. The NEC could play its part, he said, through assisting in the disposal of expired chemicals or if possible by producing a dictionary on hazardous chemicals.